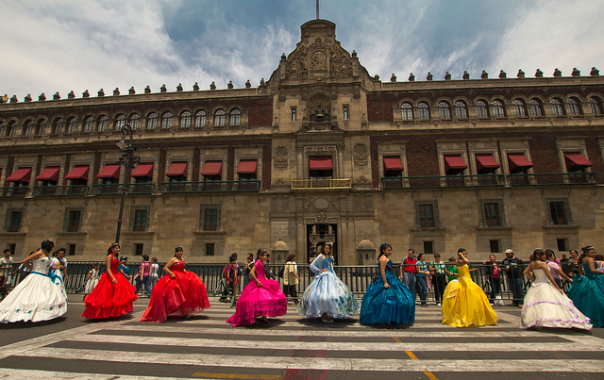 Can You Help Six Quinceañeras in Mexico? At 15 years old many girls in Mexico and throughout Latin America look forward to their quinceañera, the traditional celebration that recognizes a girl’s coming of age, but what about girls who live at an orphanage? Denisse Montalvan, founder of The Orphaned Earring, wants to make sure six deserving girls at an orphanage in Mexico have their special day, and she needs our help. The quinceañera celebration for these girls is planned for September 28th, 2013 at Calvary Chapel of Rosarito, Mexico and a reception will be held at Grace Children’s Home, but there’s much to do to prepare. The girls need dresses, heels, tiaras, cake. We want to have their makeup and hair done, too. Denisse is taking donations of all kinds to make this happen – You can make a cash donation or send her a dress for one of the girls, for example, if you happen to have an appropriate one in your closet. Other causes/ways you can donate: Denisse will be traveling to Nicaragua at the end of August to give the kids at an orphanage there a summer party. You can donate money for their activities by clicking the “donate” button on The Orphaned Earring. The most creative way you can help is by donating earrings for which you’ve lost the mate. Denisse and her team recycle them into bracelets and sell them to raise funds. You can also purchase these bracelets here. What a great idea. I wish I hadn’t left my formal dresses when I moved but there was really no room to bring them. I hope it’s a great experience for the girls.